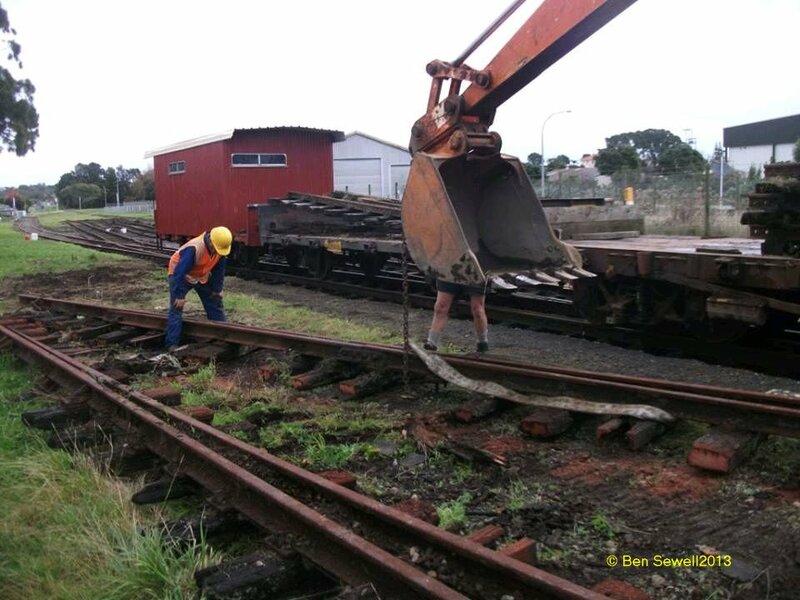 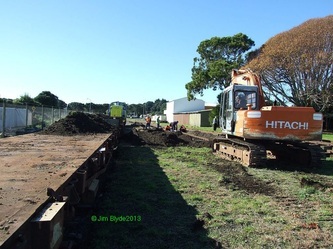 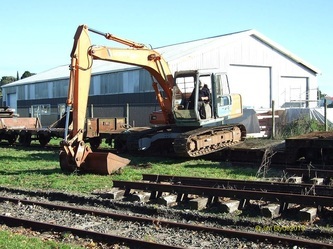 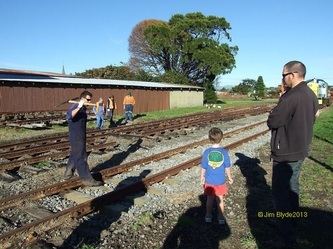 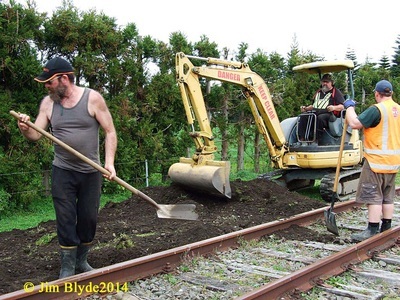 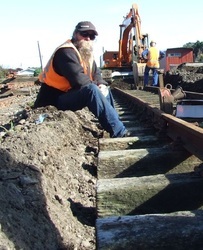 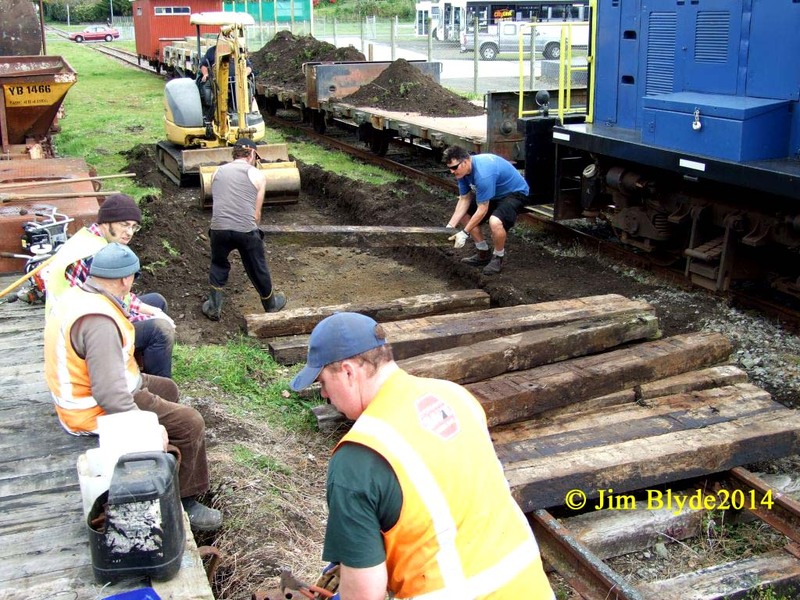 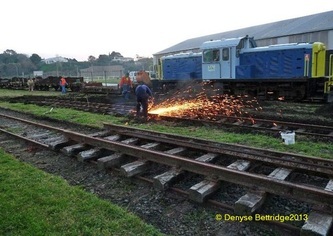 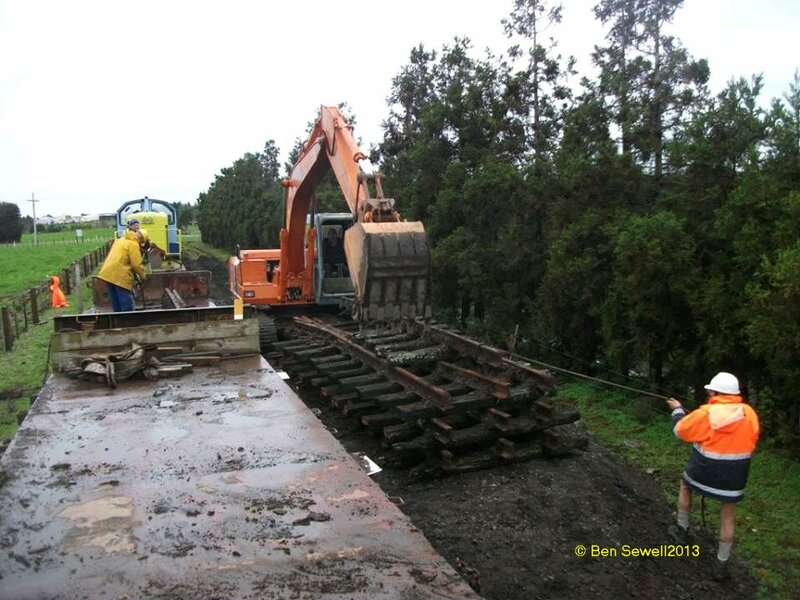 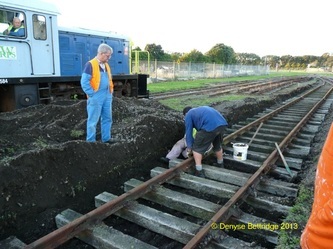 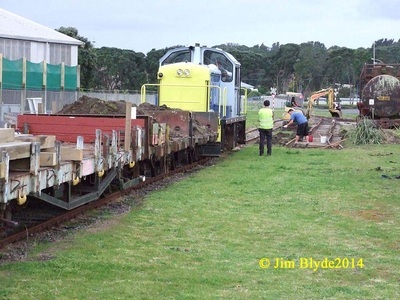 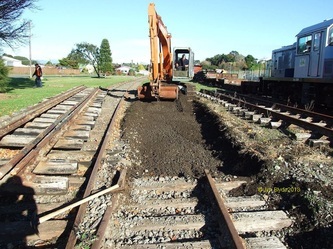 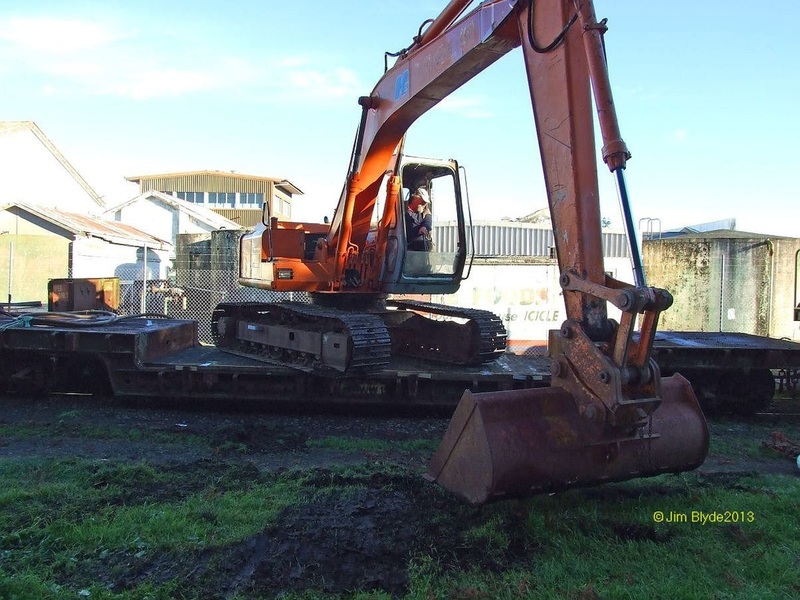 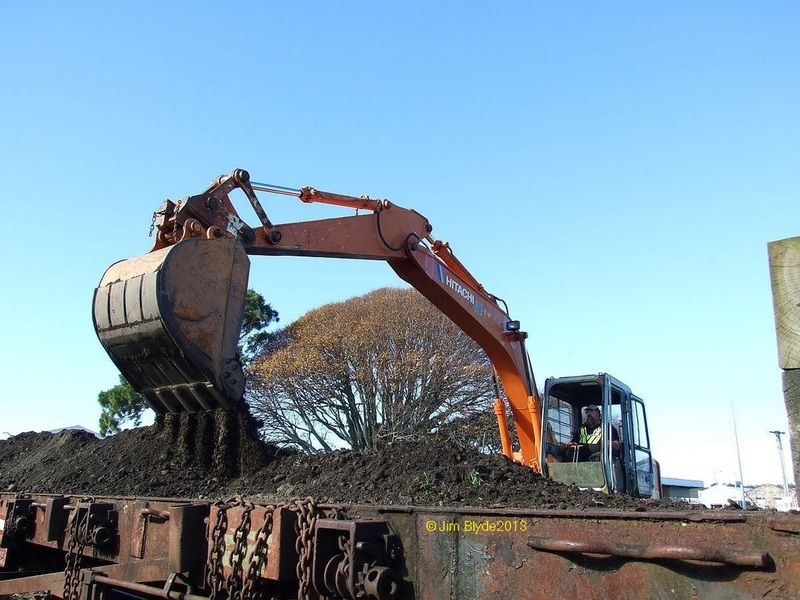 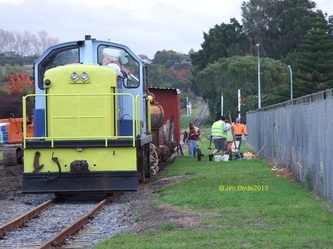 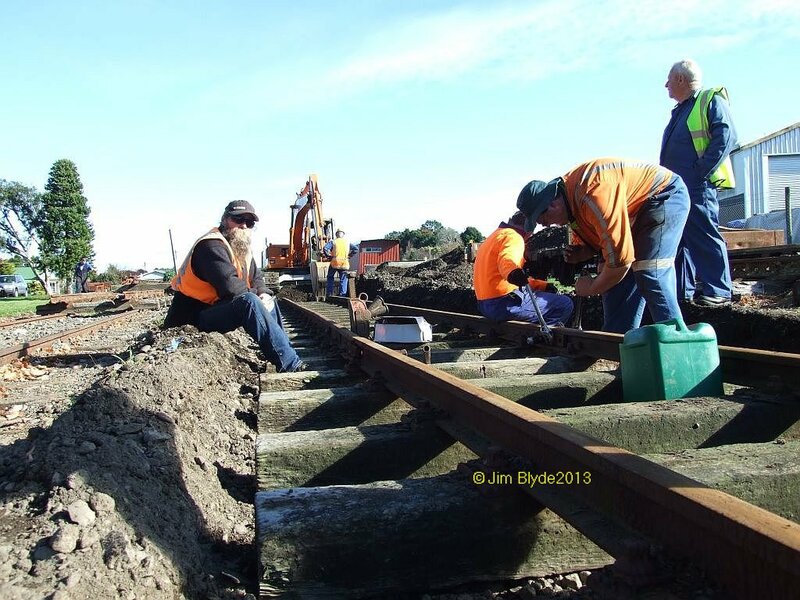 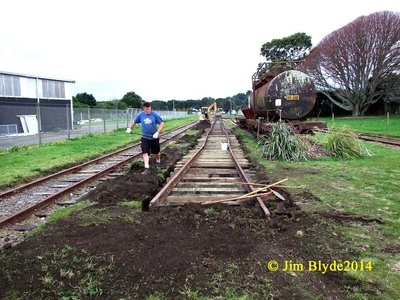 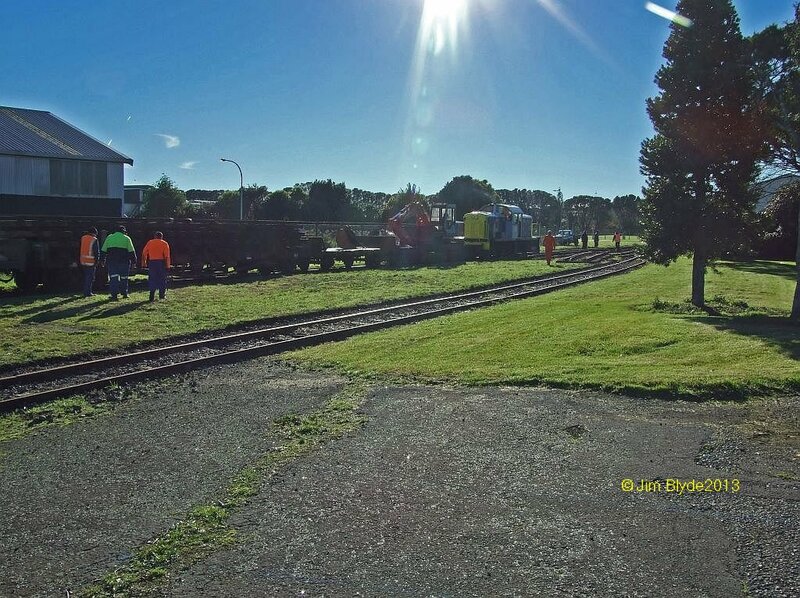 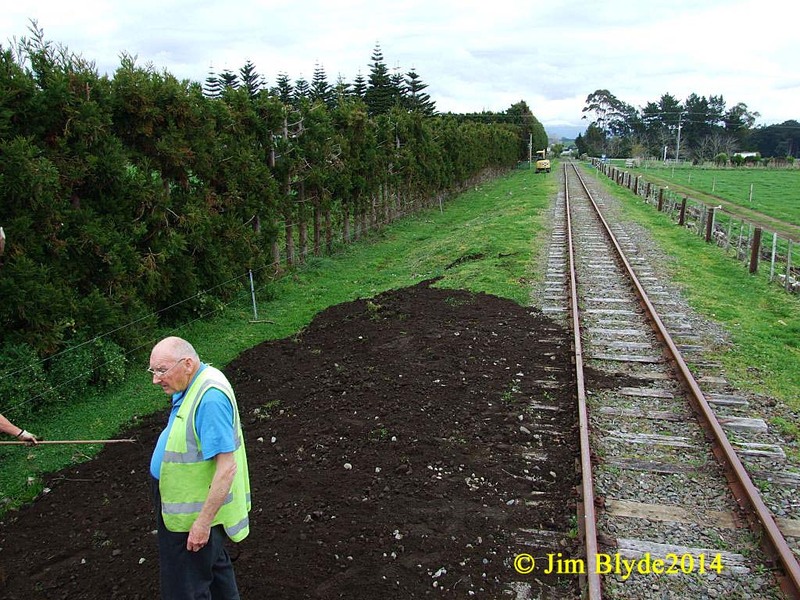 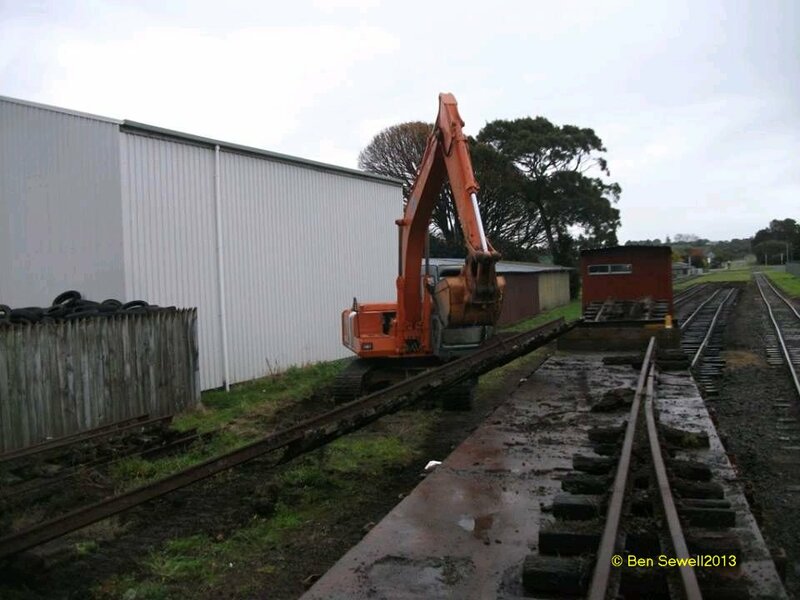 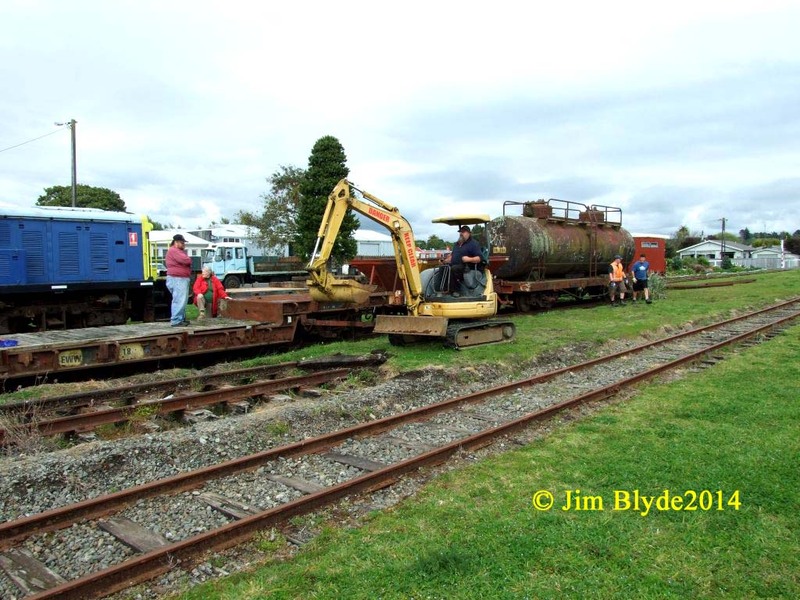 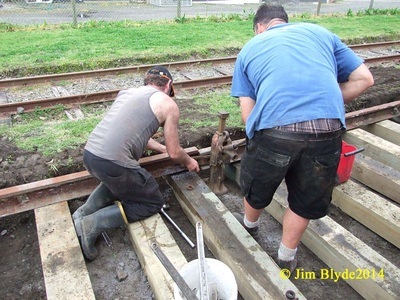 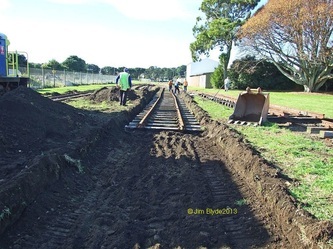 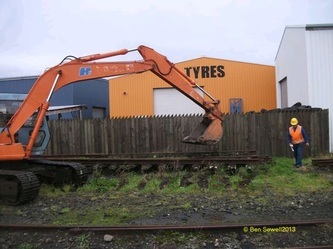 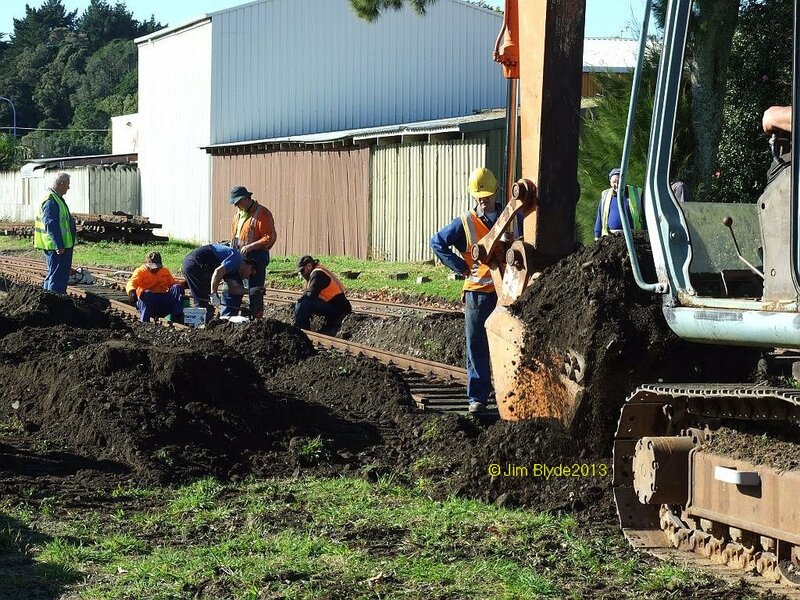 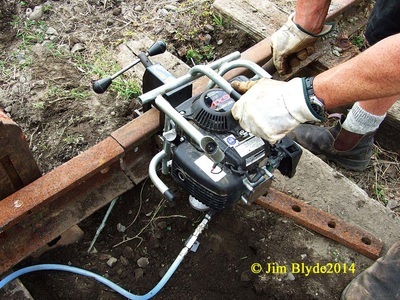 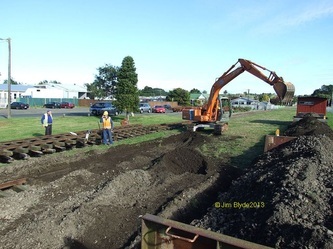 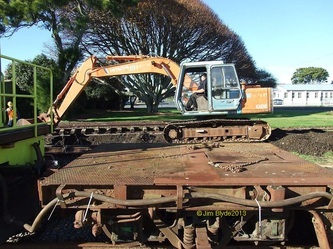 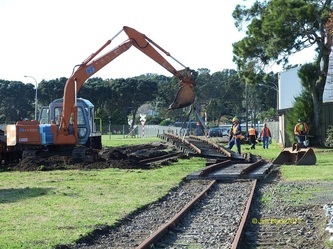 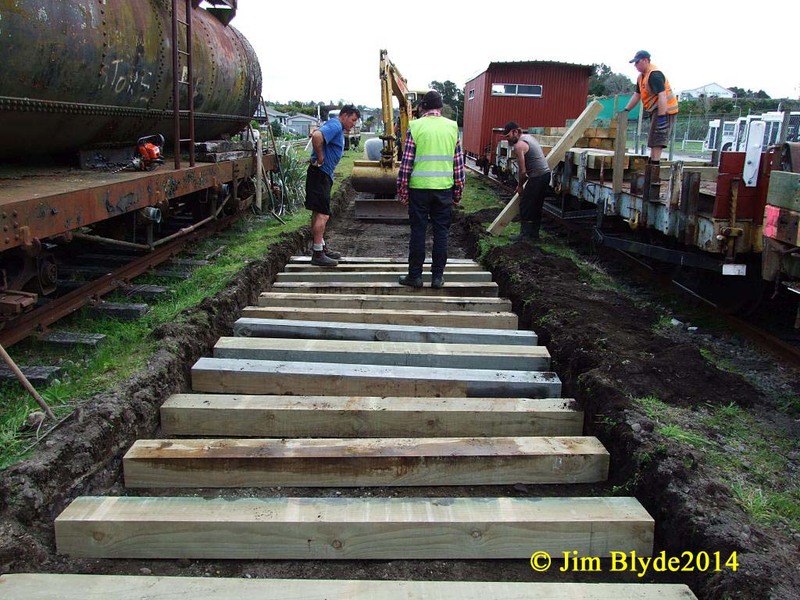 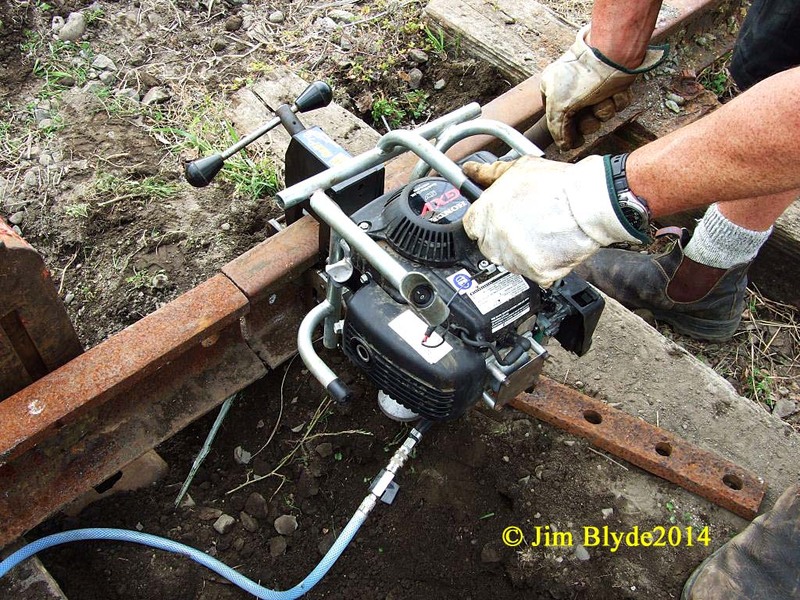 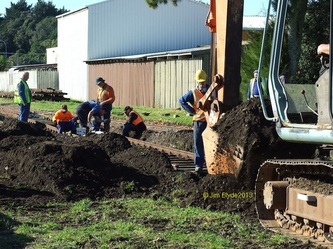 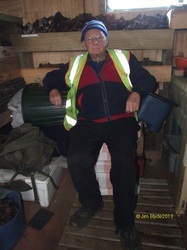 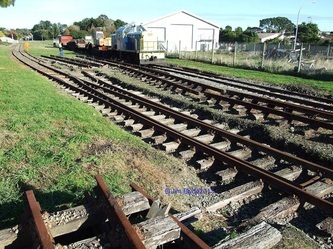 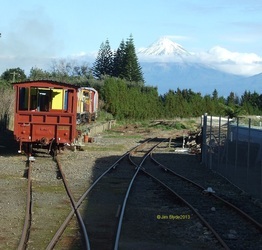 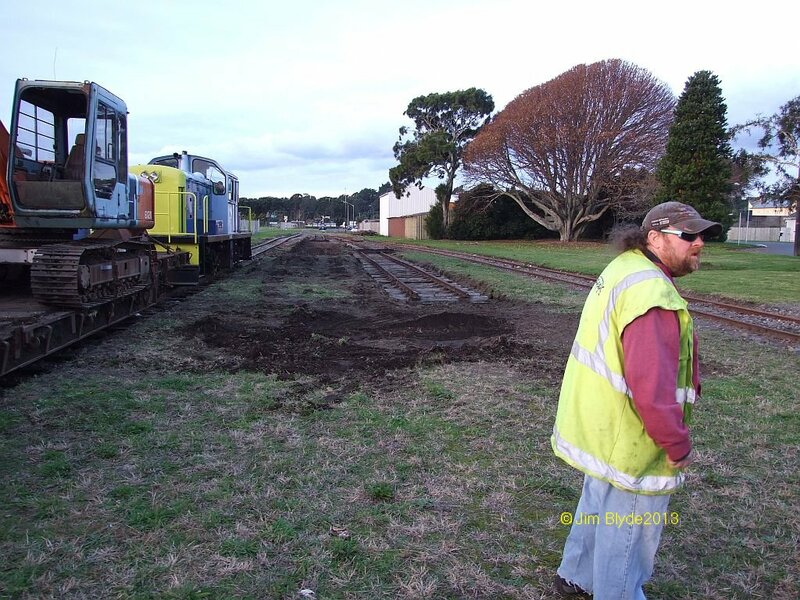 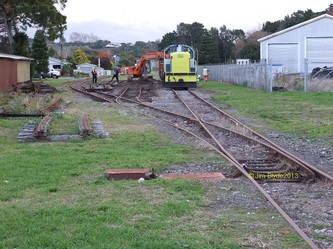 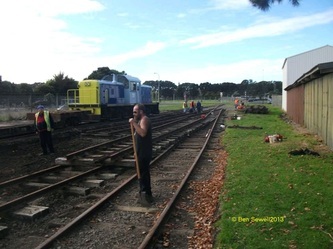 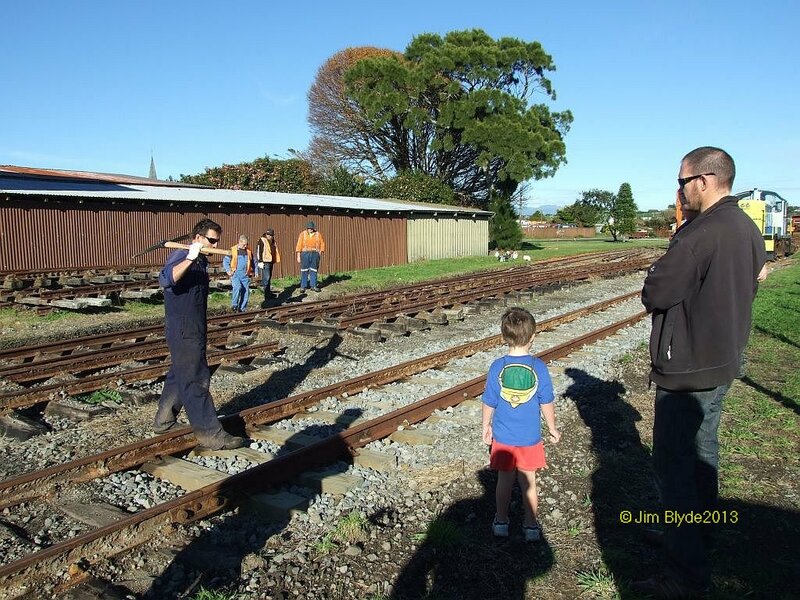 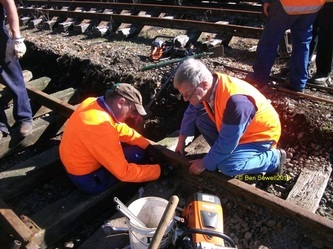 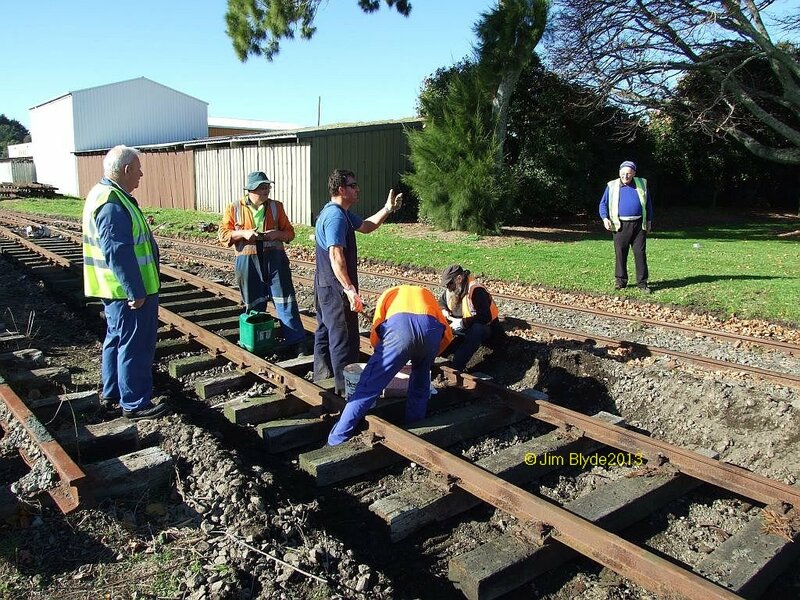 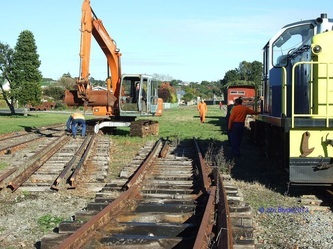 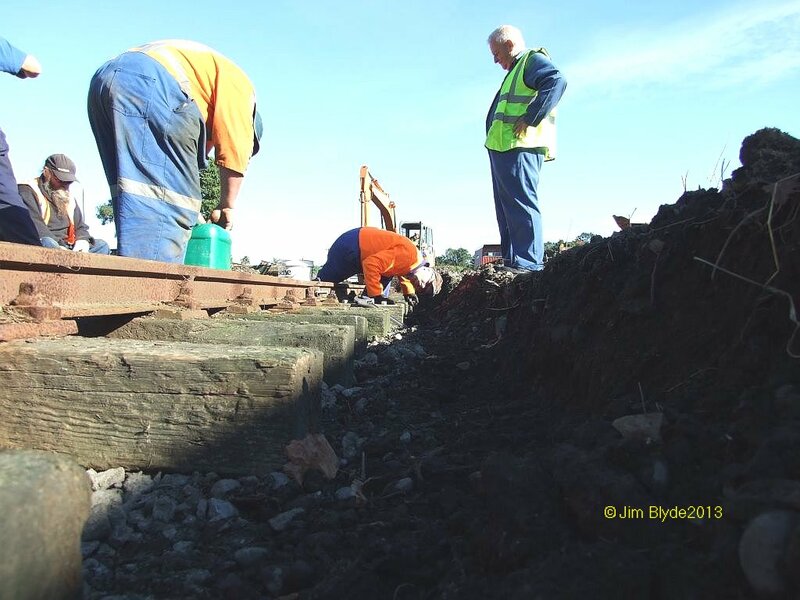 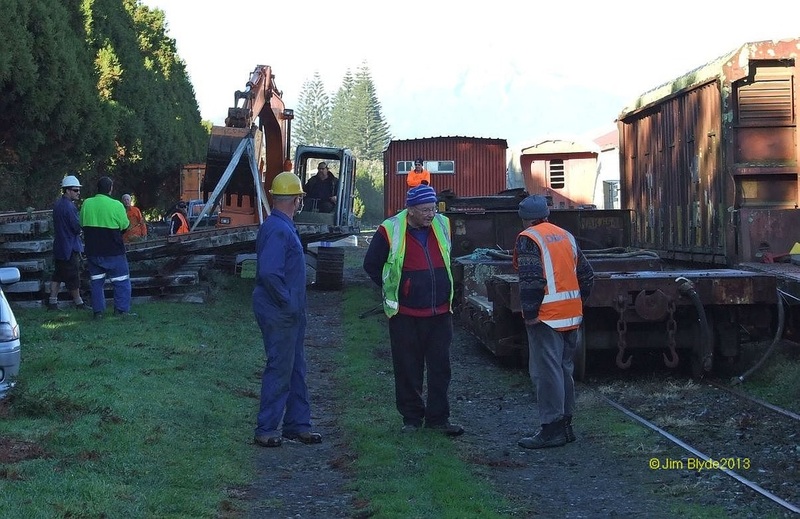 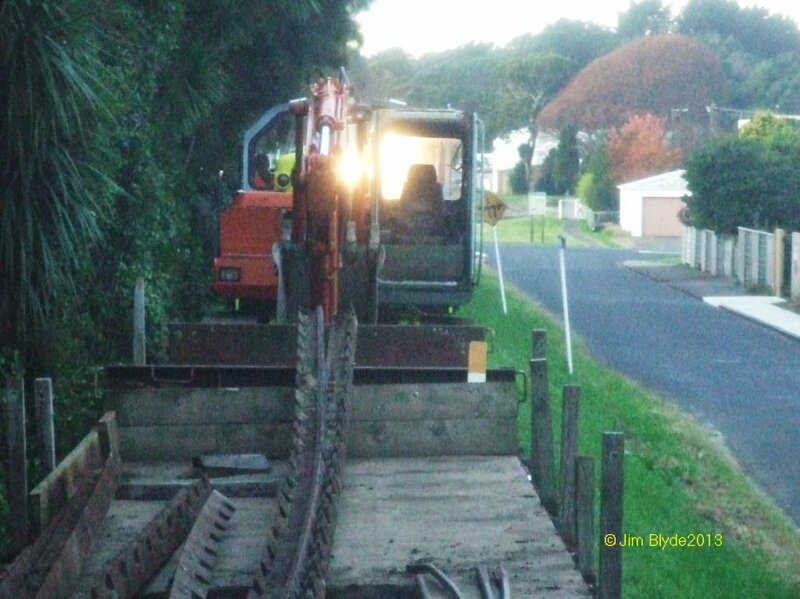 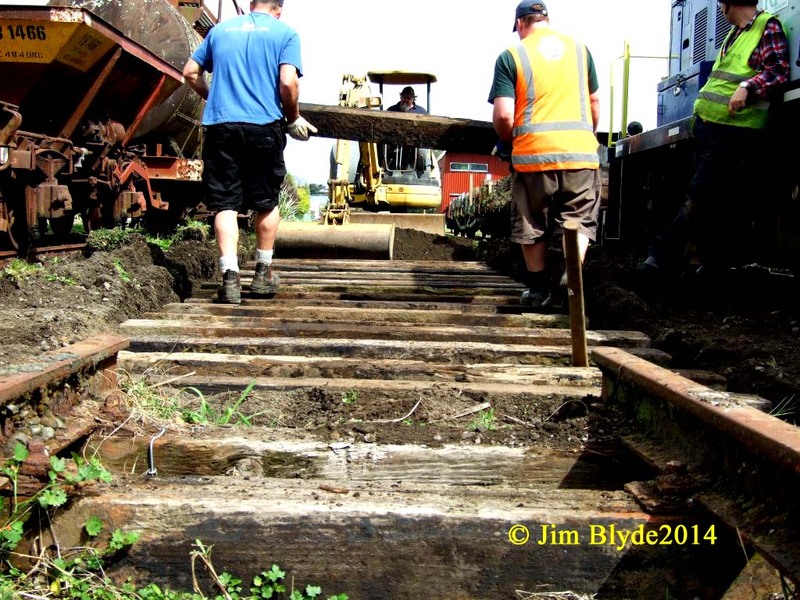 It is with acknowledgment to Garry Loveridge for his tremendous support, with his two digger machines, to the Society during the days of track work both in the old Waitara Railway Yards and at the Waitara Road station Yards, Brixton. This work continued through the month of June working both Saturdays and Sundays with the odd days in the week/s. 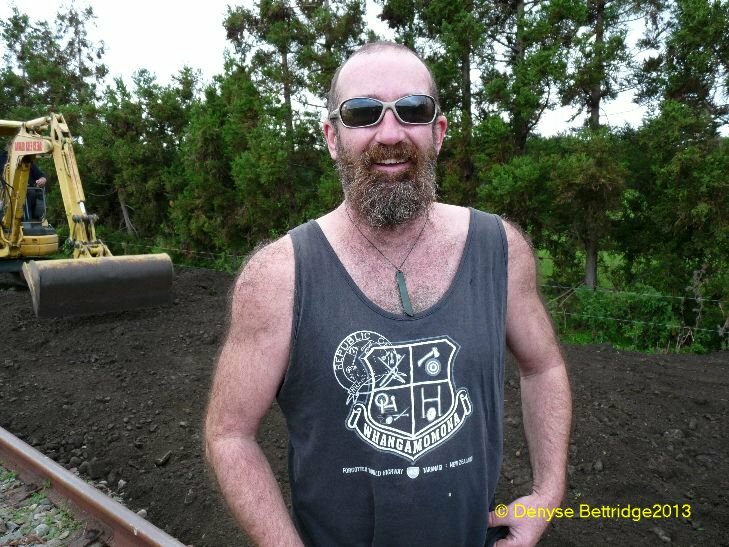 Garry has now signed on as a member which he was most welcomed. 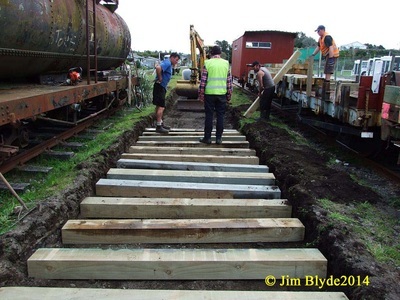 Our Team Leader Mike's first real big project 2013, with the guidance from Denyse. 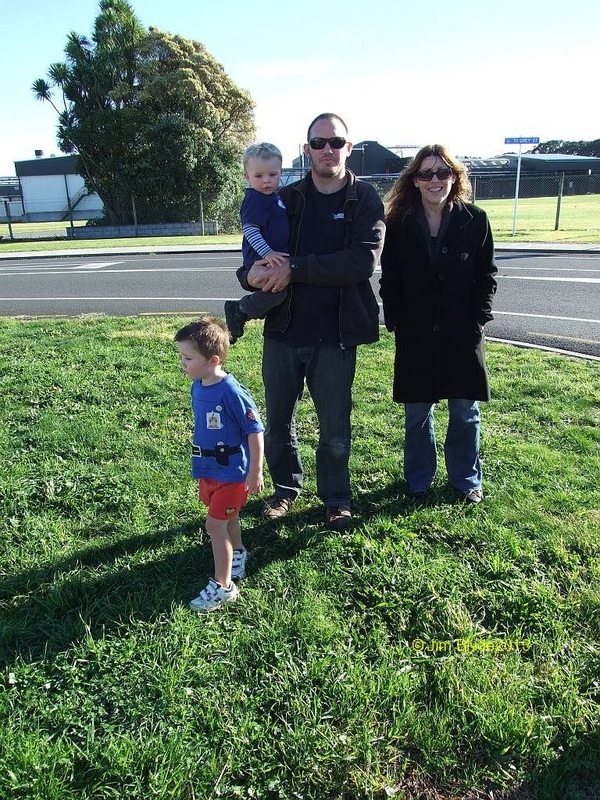 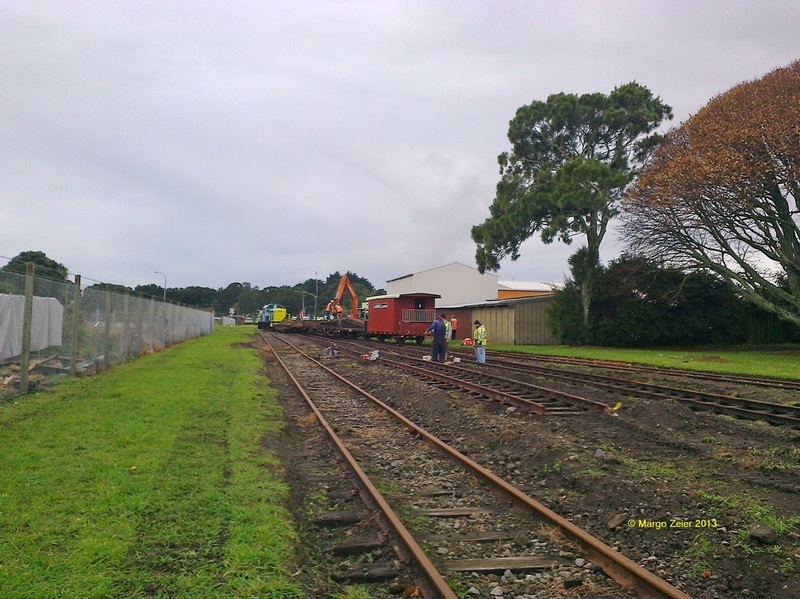 The replacement of some roads in the Waitara railway Yards. 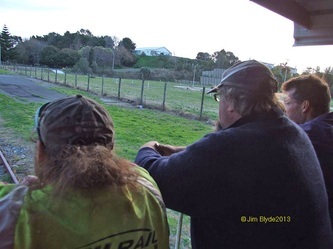 Jim Blyde the Scribe as usual. 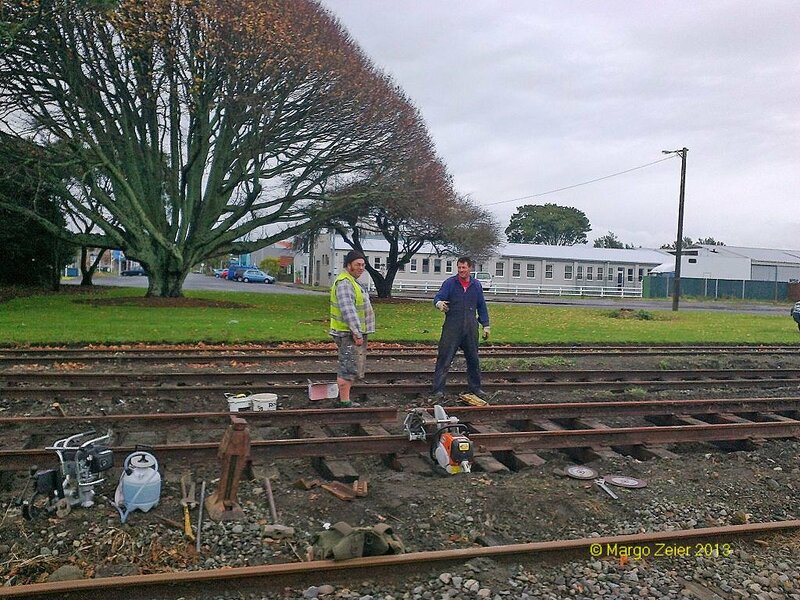 Noel and I left New Plymouth about 08.3ºam on the first two days. 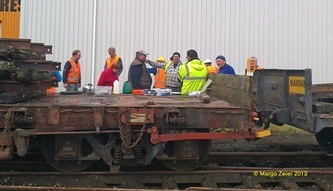 When had arrived at Brixton the team had almost completed their task of loading track-sets on the Us wagon. 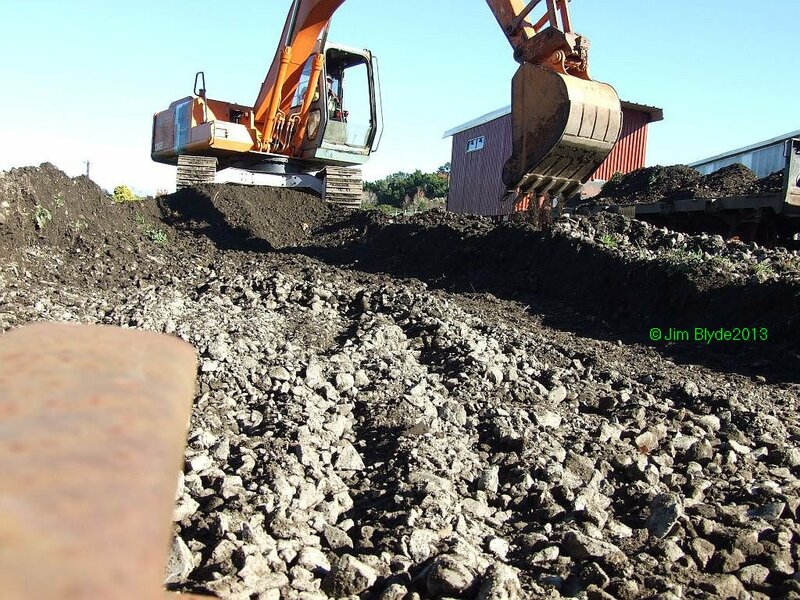 All that was left to do was to secure the load and load the digger on the Eww. 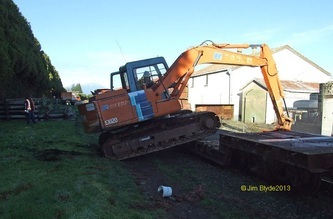 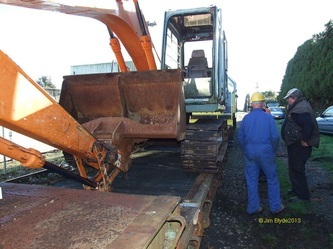 The 12 tonne digger was free of charge by the owner Garry Loveridge, as well as his time, (this was most welcomed by the Society). 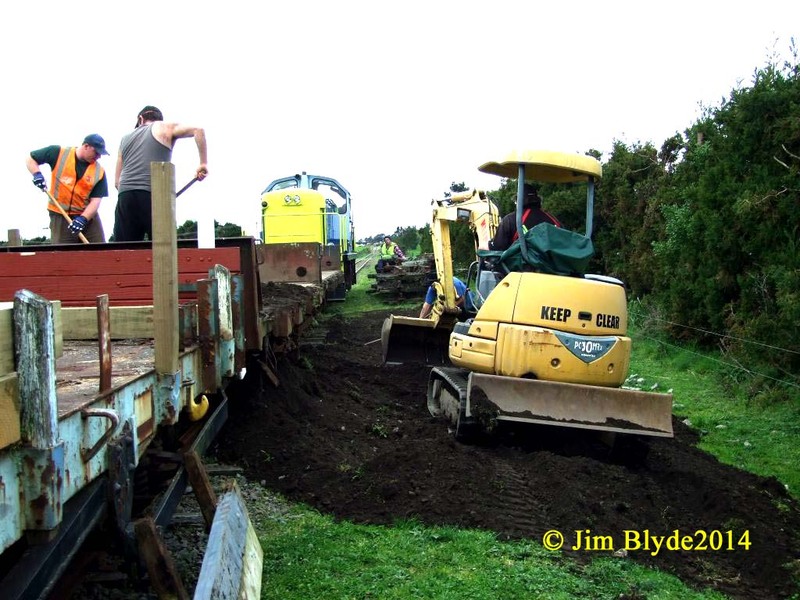 The Society had to pay the transport and fuel costs. 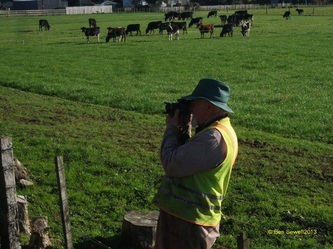 There were a good number of members during the first two days that I had been in attendance. We all tried to our the best of our ability to try and complete what is required by the Team Leader. 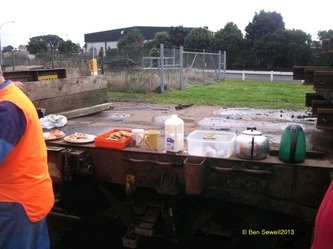 Of course it goes without saying that the Ladies did also by providing nourishment to the team. Hot drinks were brought down to the Waitara Yard along with freshly baked cake, for smoko. Lunch was curried mince with mashed potatoes with a hint of parsley with buttered buns and hot drinks. (Some times we get really spoilt). The next days' smoko was hot drinks at the Waitara Road Yard. 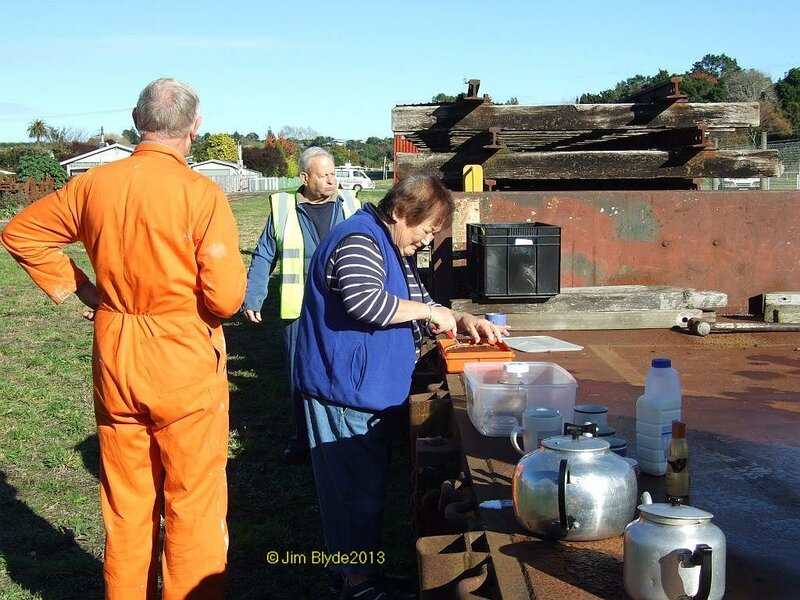 Lunch was veggie soup with bacon hocks added again hot drinks and Fresh fruit. Thank you Ladies. 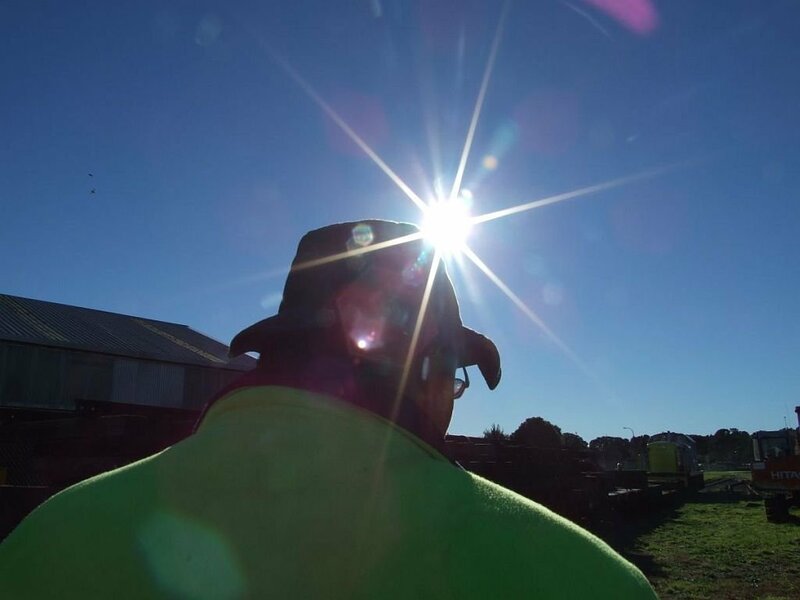 I did not attend on Sunday. I will endeavor to get some information to how the this day went. All the photos copyright to me. 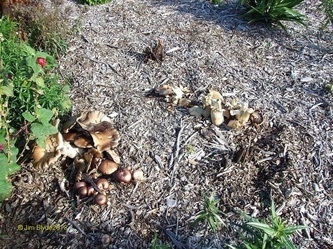 Except others identified as such. 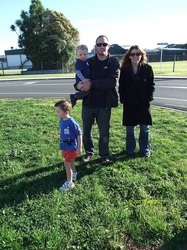 Just after Noel and I arrived. 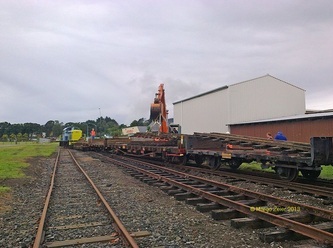 Three sets of rail already on board. 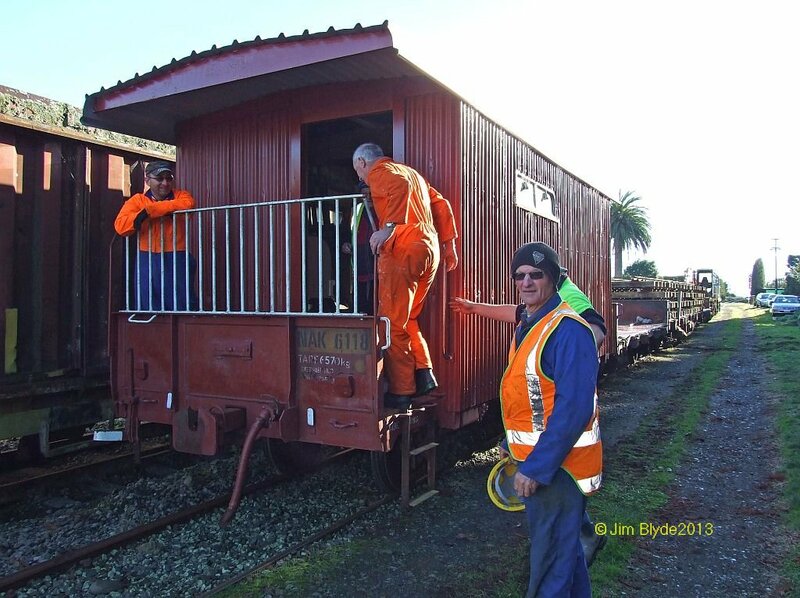 Mike, Ben, Trevor, Mark, Noel, Garry in the cab, Denyse, Bill on the Us and Jim H.
Below are some photos which were taken by Margo Zeier, Mike's Sister. Thank you Margo. 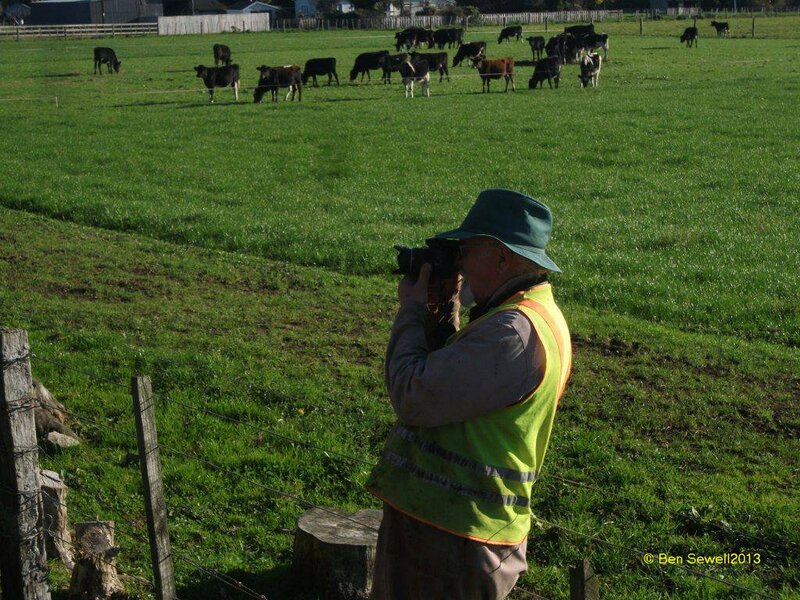 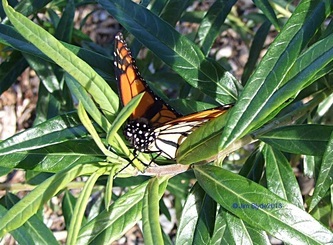 It is nice to get some one else's perspective photos. I was not available for the Sundays' working Bee. 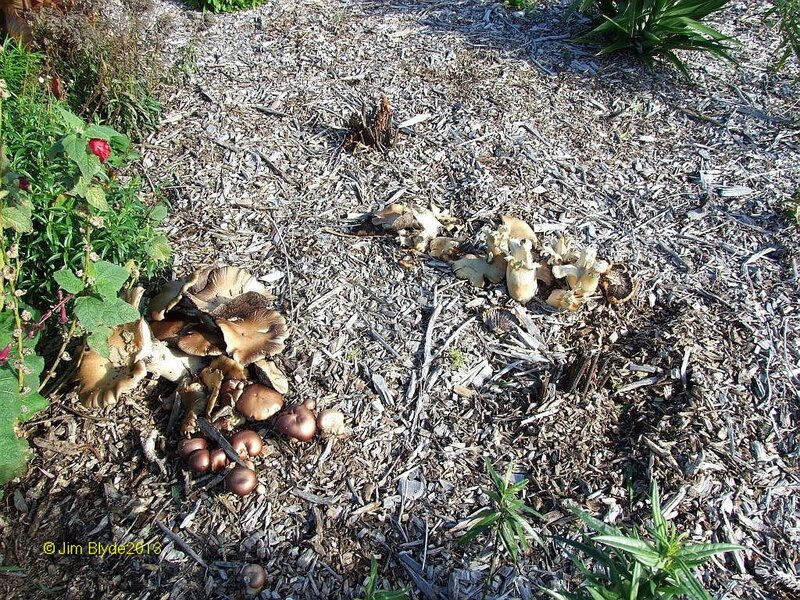 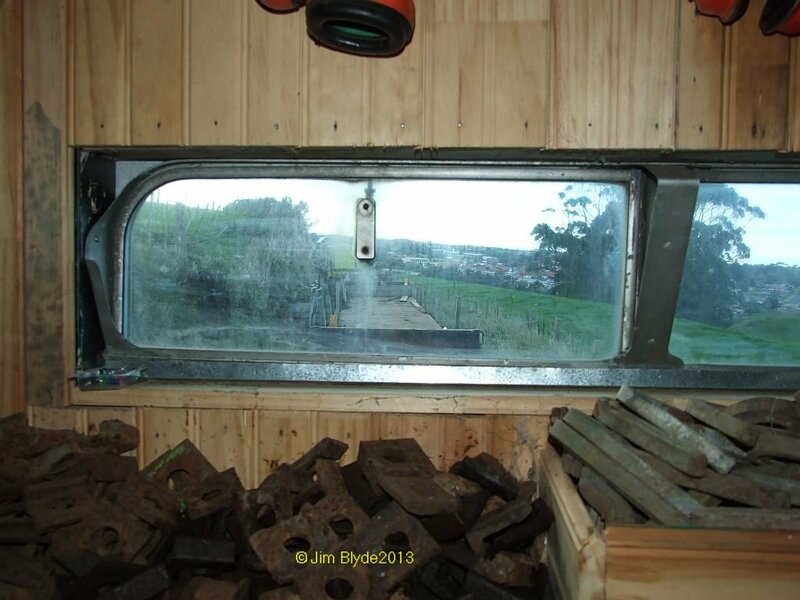 Below are photos from Ben one of our younger member. 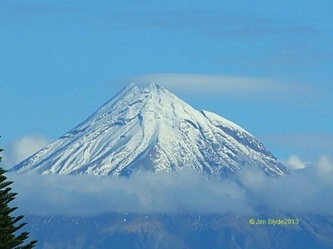 As above it is nice to see another member's photos. 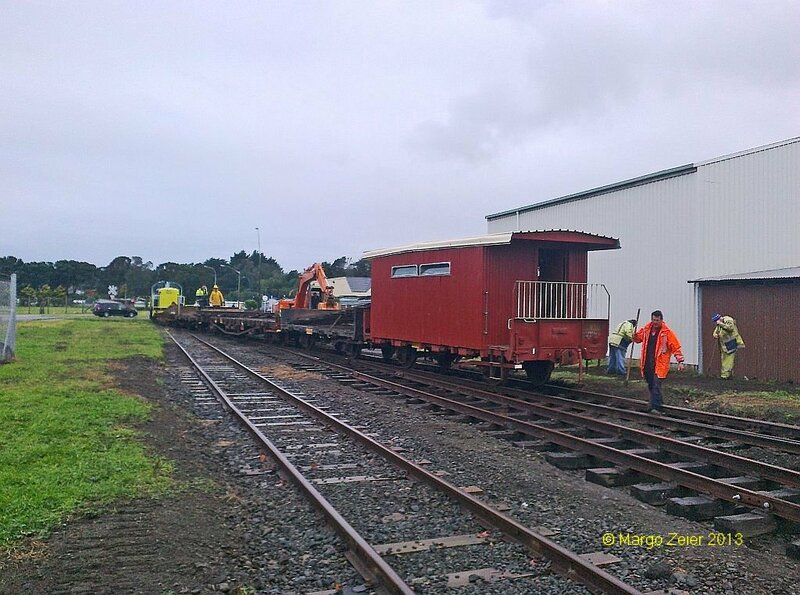 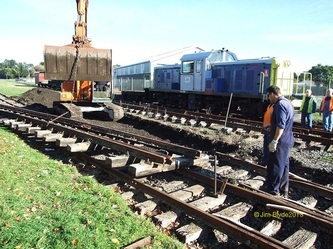 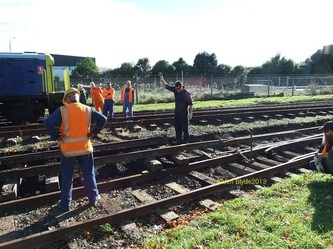 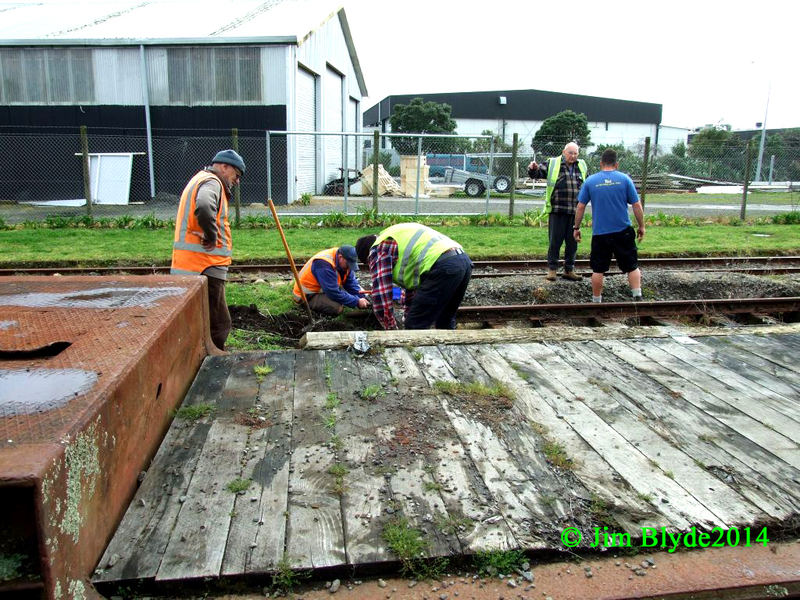 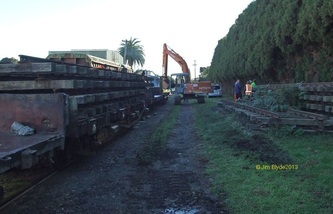 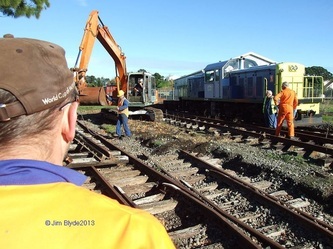 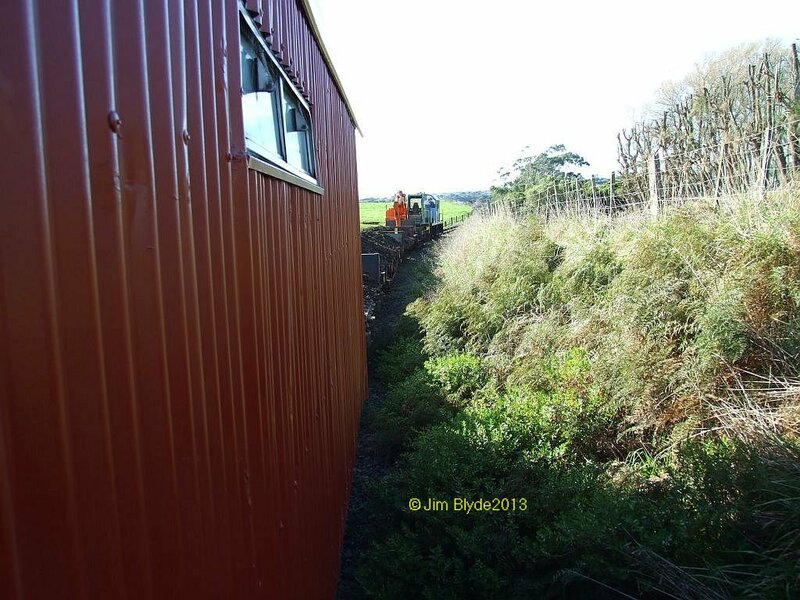 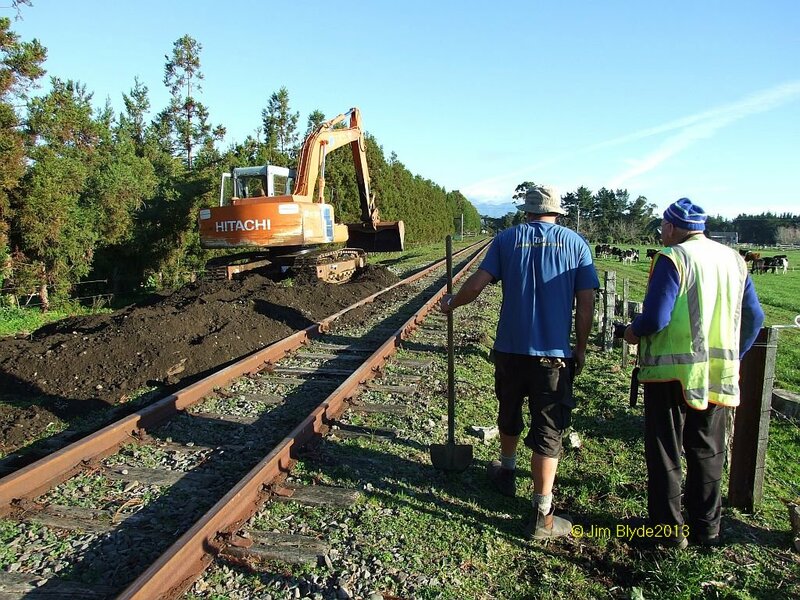 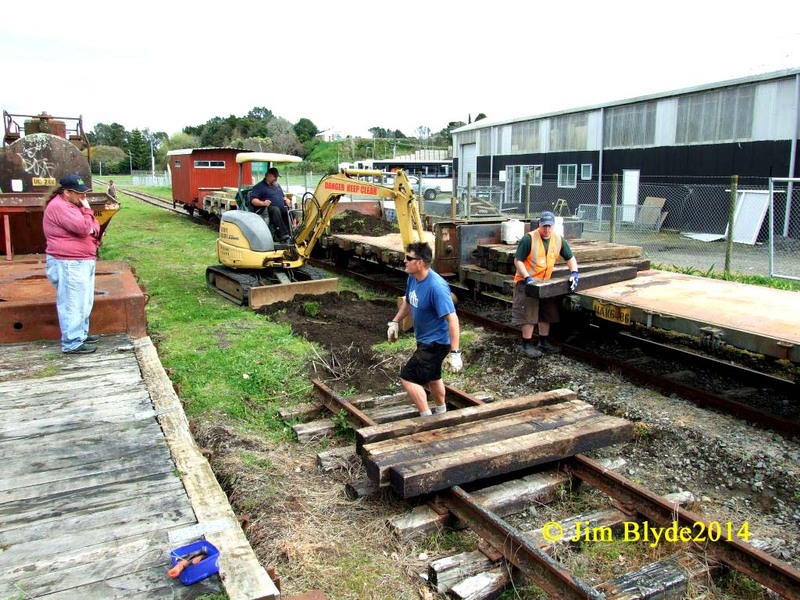 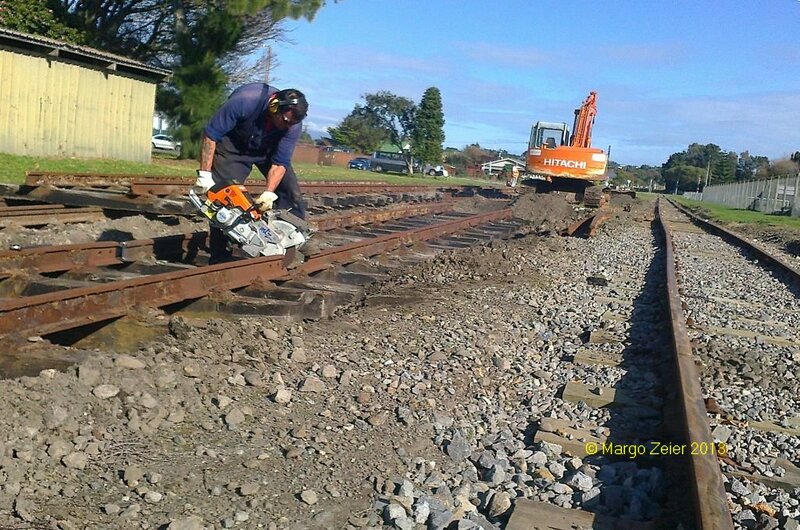 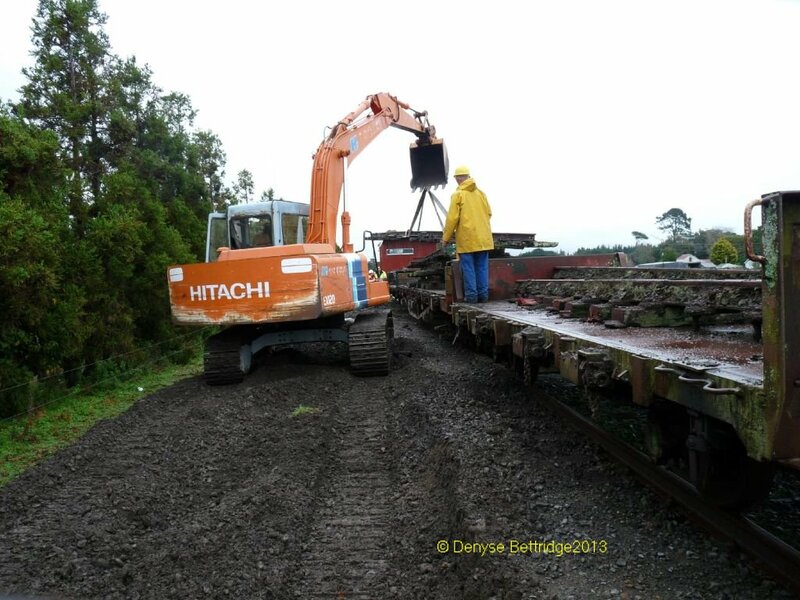 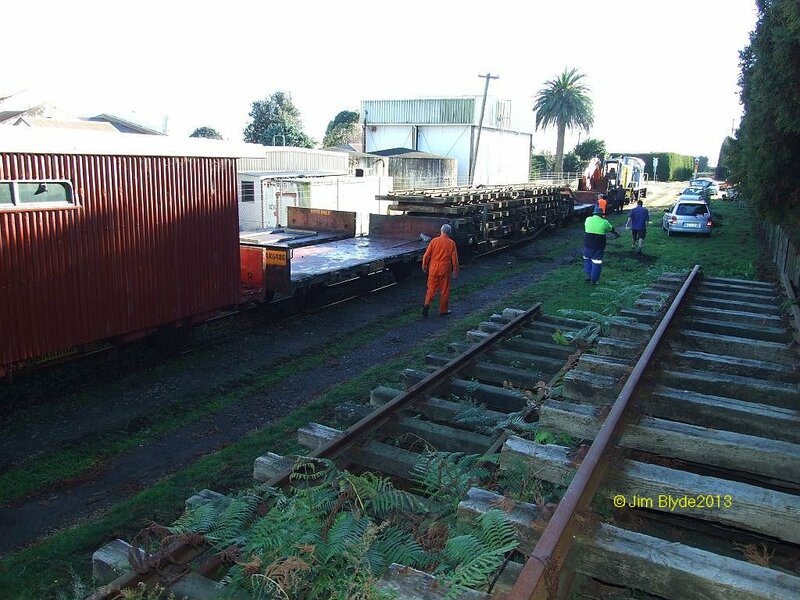 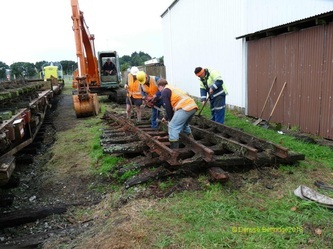 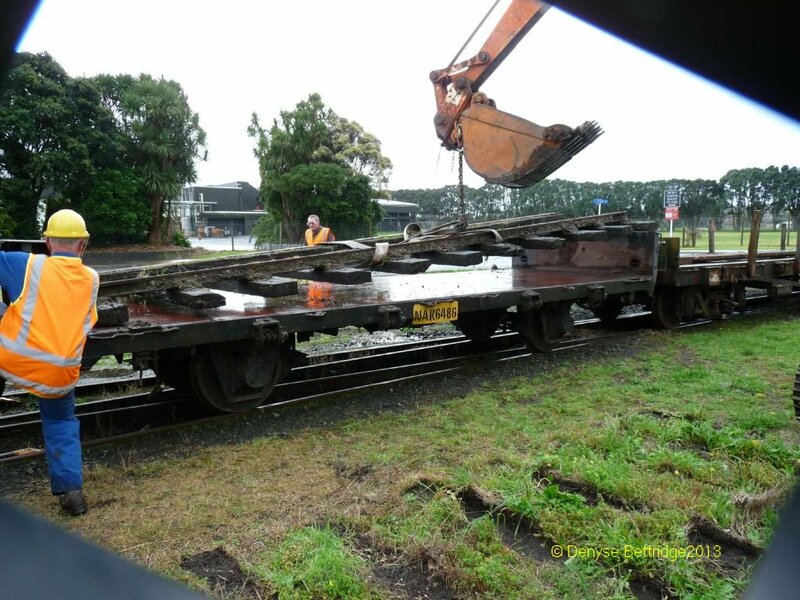 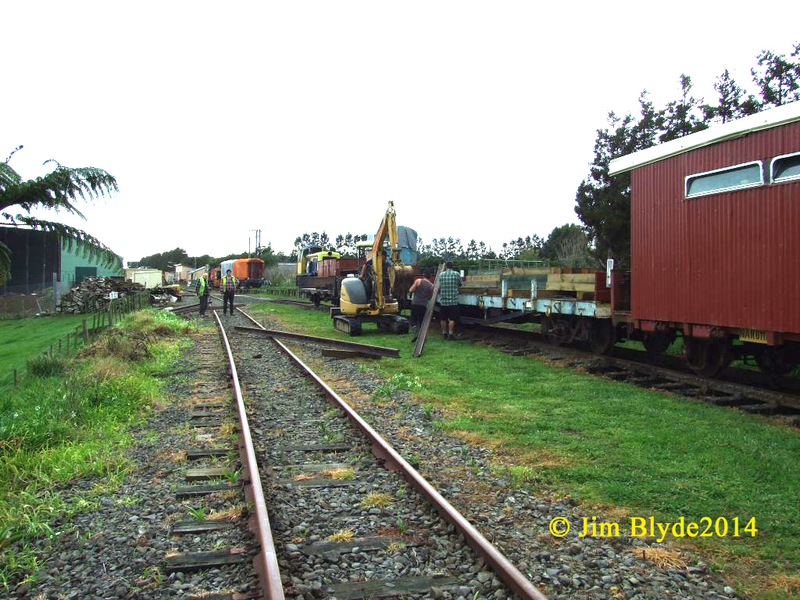 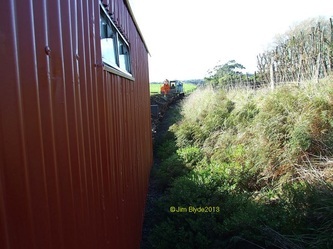 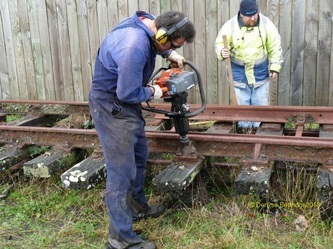 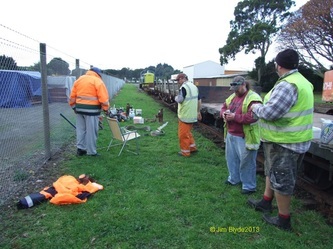 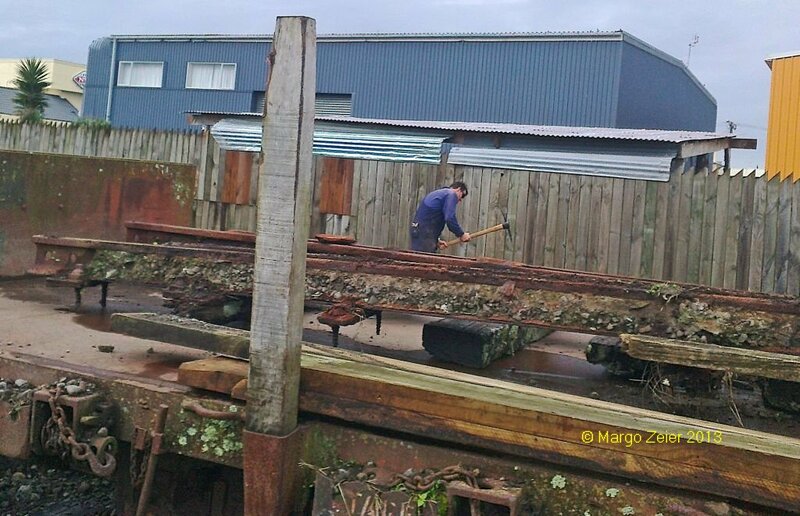 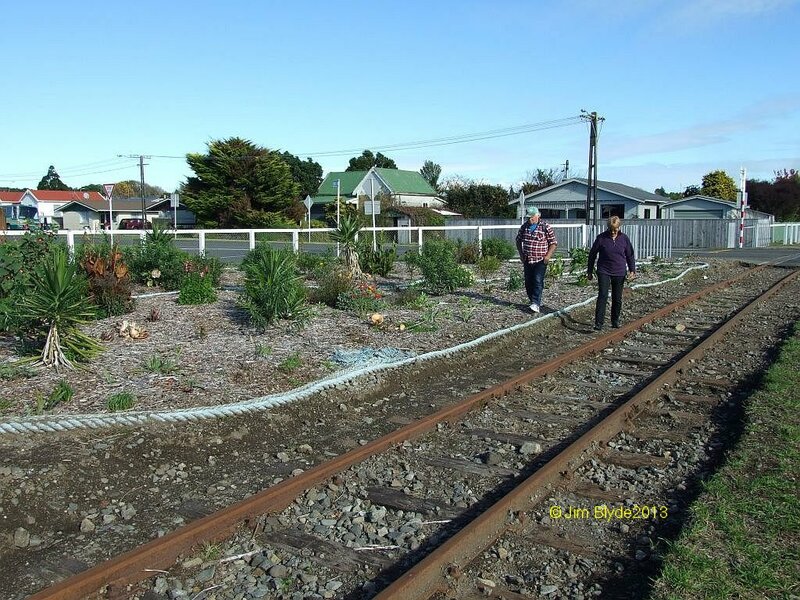 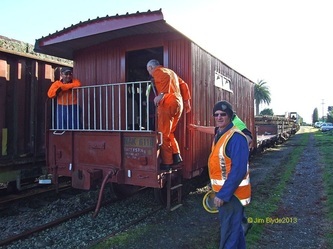 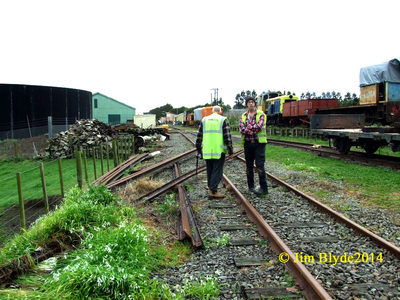 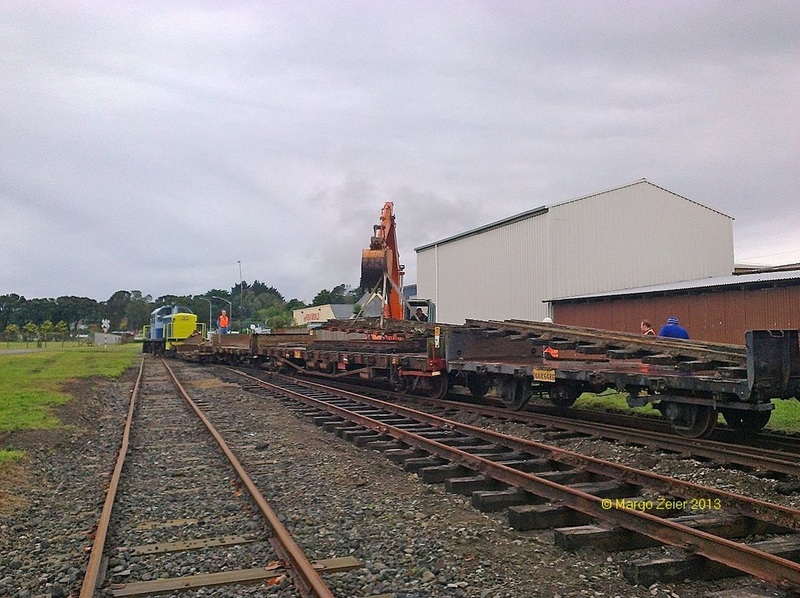 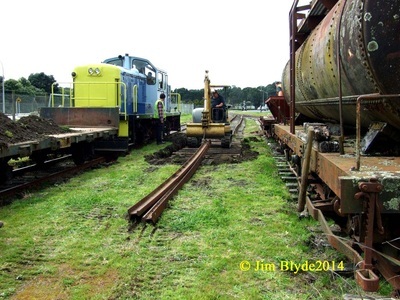 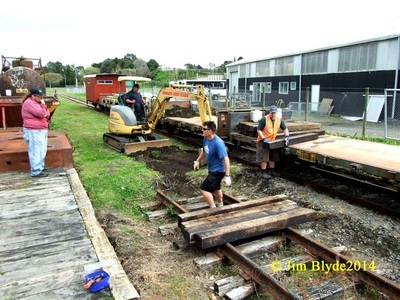 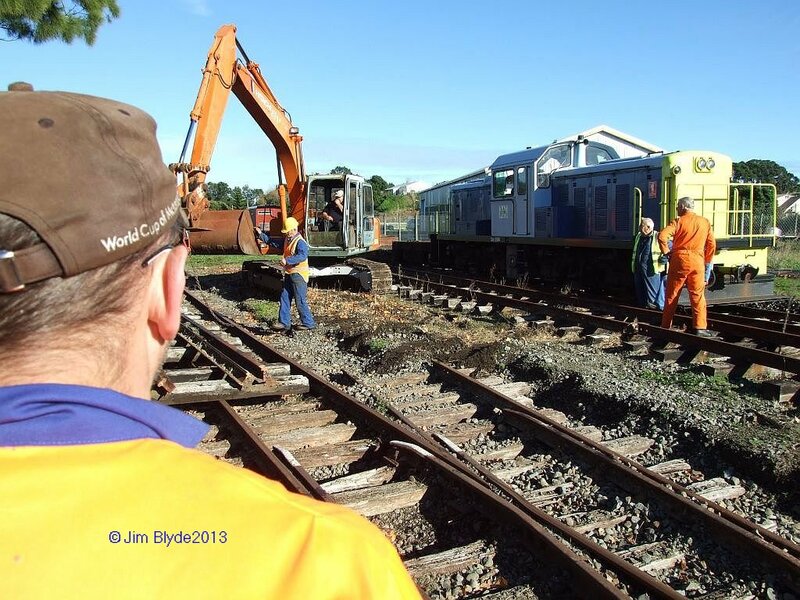 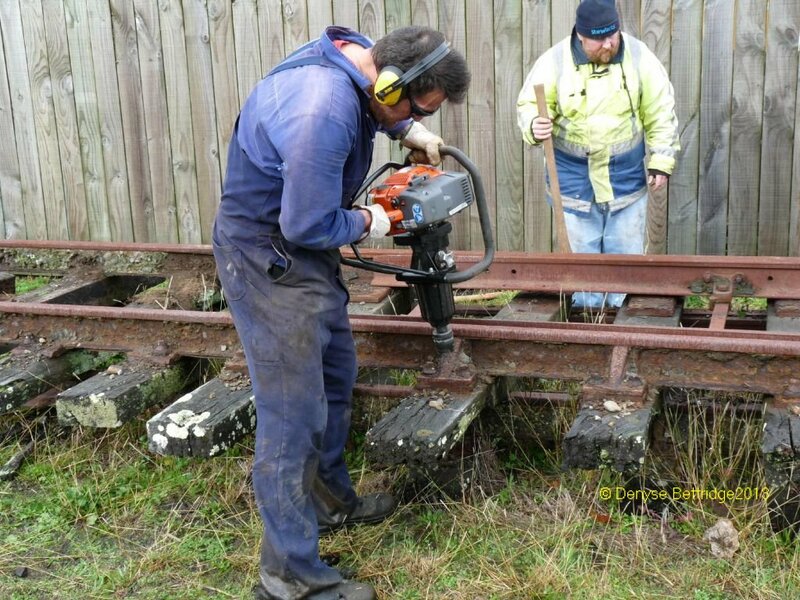 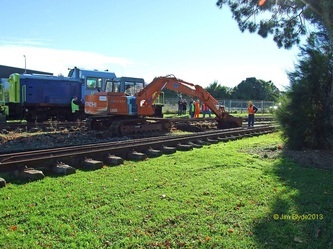 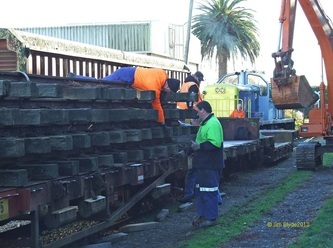 The team continued with the collecting of rail set that were not require at the Waitara Yard. The day was cloudy and cool, then cleared to a nice day, but as the afternoon worn on it got very cloudy eventually we had light rain, enough to make one wet. A good team of members worked well, once again. 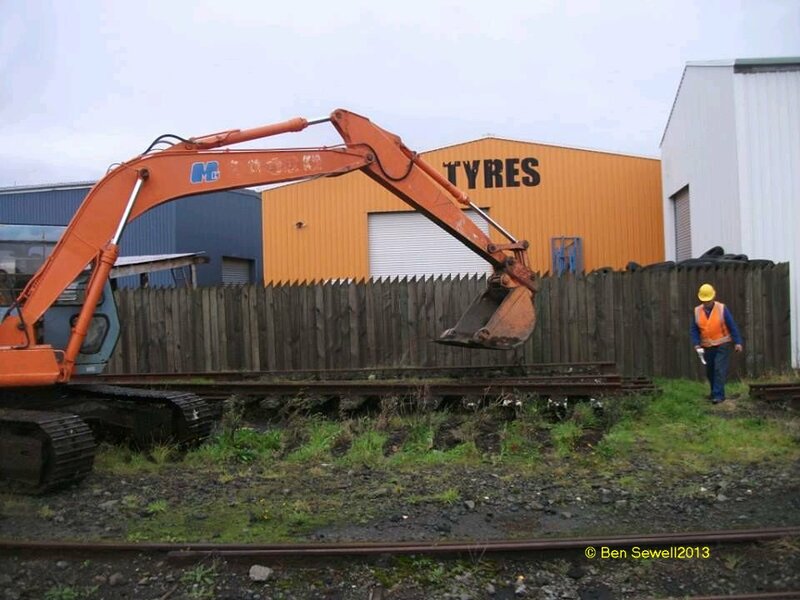 Garry Loveridge was asked to assist with his little digger. Again was of tremendous help. Three lengths of rail were laid.